When I was in grade school, I admit, I always looked forward to recess, hahaha. It was the only time I can be myself while in school, you know, be talkative and “makulit”. Aside from that, it was always a joy rushing to the canteen and grab my snacks. 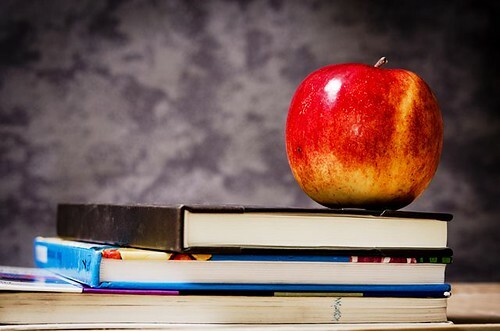 Aside from the thrills of Science, Math, Language, Reading and Araling Panlipunan, one of your most cherished school memories would probably include a funny or embarrassing moment during recess time. For generations of kids, recess time was and still is, more than just a time for eating. It is a time for bonding, developing social skills and forging friendships over the shared love for food. Remember those carefree school days? Here are five ways snack time made a lasting impact on our childhood. • It gave us the motivation to go to school. Remember when you couldn’t get yourself out of the bed on a school day? Aside from the fear of mom and ‘ma’am,’ the thought of eating, and sharing, your favorite snack was enough to make you want to go to school. • It taught us about barter and sharing. Recess time is like a mini smorgasbord for snacks. Not particularly fond of your cheeseburger today? Why not trade it for a Hansel Mocha Sandwich? Of course, you always have the option of sharing your food as a testament to life-long friendship. • It encouraged us to experiment. Why enjoy just one Rebisco Sandwich flavor when you can combine two to create your very own chocolate-strawberry special? Recess time helped hone our culinary skills by encouraging us to create new variations of our regular snacks. • It taught us to value rewards. Remember when you aced a test or won in that school contest and the next day your baon was packed with your favorite chocolate snacks? While our parents always encouraged us to eat healthy, allowing us the occasional sweets taught us the value of giving ourselves a well-deserved treat every now and then. • It made our childhood so memorable. Laughing, playing and sharing stories over baon are priceless memories that we carry through to the rest of our lives. These memories help form the foundation of our friendships and the values we hold dear. As Rebisco celebrates its 55th anniversary, the homegrown snack giant continues to be a highlight of Filipino kids’ baon — carrying on a legacy of providing delightful treats and opportunities to create precious bonding moments. 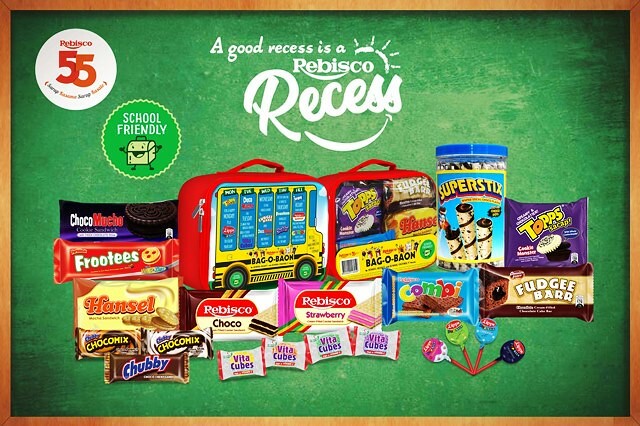 To make it easier for moms and dads to pack their school-age kids’ favorite Rebisco snack, Rebisco Bag-O-Baon was launched — a multi-pack that features an assortment of school-friendly Rebisco products including favorites such as Rebisco Sandwich Strawberry, Fudgee Barr Choco, Combi Triple Choco, Choco Mucho, Topps Sarap Cookie Monster and Vitacubes, among others. Go to your nearest supermarket to get one of the limited Bag-O-Baon bundles and reminisce on the incomparable joys of snack time with family and friends. What’s your fondest recess memory? Share it with us at the official Rebisco Facebook page.